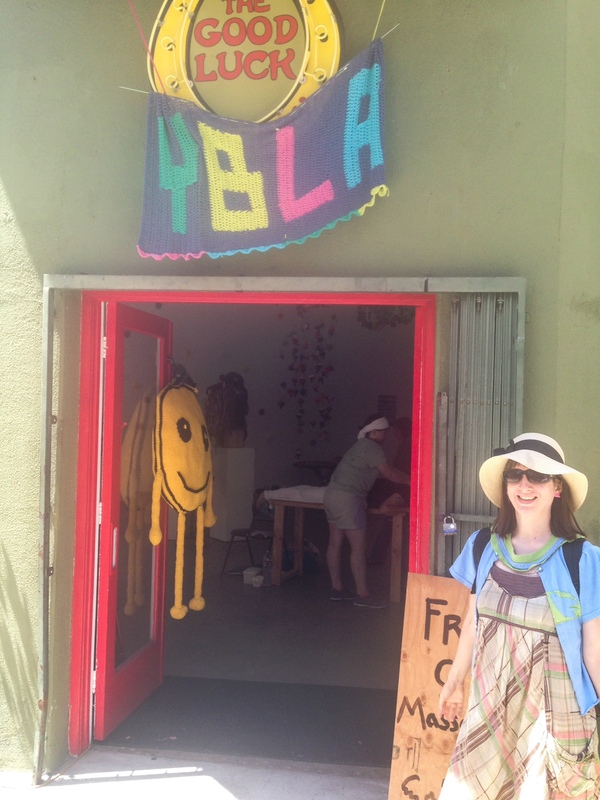 Yarn bombing Chinatown was a blast and utterly amazing. 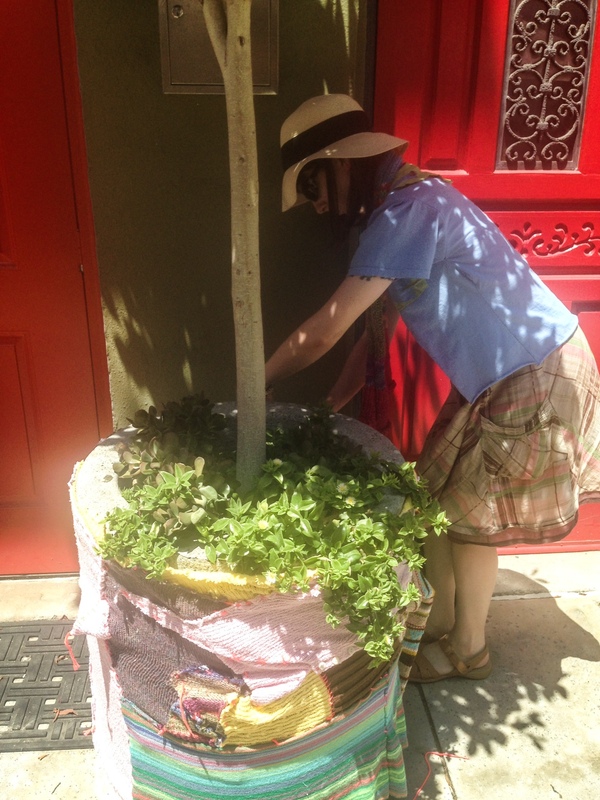 After finally viewing my piece Details I was off to choose a planter to yarn bomb. That was easy. There was one planter that had a tree growing out of it. Yes me and trees we have a thing. Plus Julie Kornblum, a member of Yarn Bombing Los Angeles gave me a thinner piece she had knitted that I used on the tree. 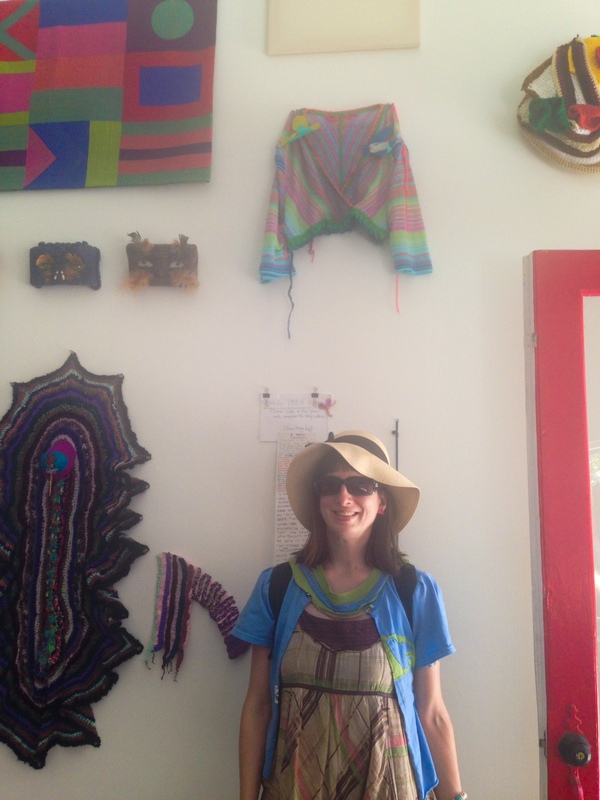 The first two pictures are of me at Good Luck Gallery with my previously done yarn bomb project. 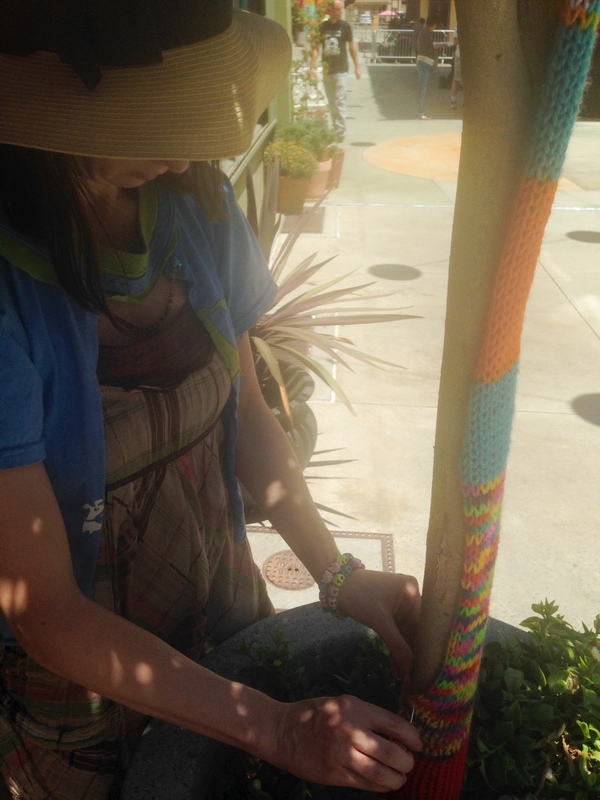 And the yarn bombs are still up! 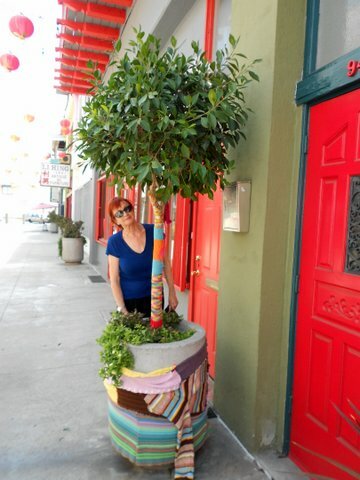 Artist Patti from Pasadena visited Chinatown recently and shared these lovely pictures with me. It may be sagging a little, but it hasn’t fallen to the ground! 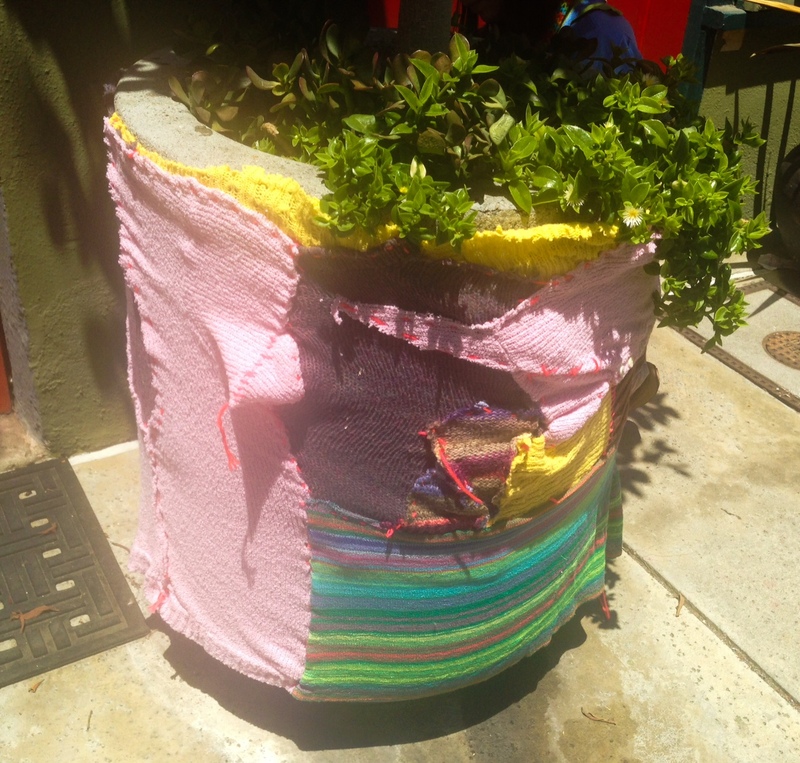 One weekend in July was about preparing to sweater bomb planters in Chinatown. I even got Richard Heaven involved! 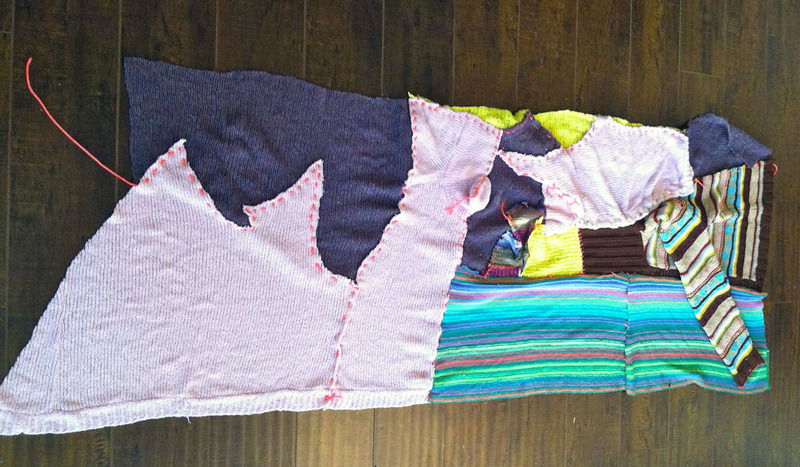 Anyone near me while sweater/yarn bombing gets to help out. 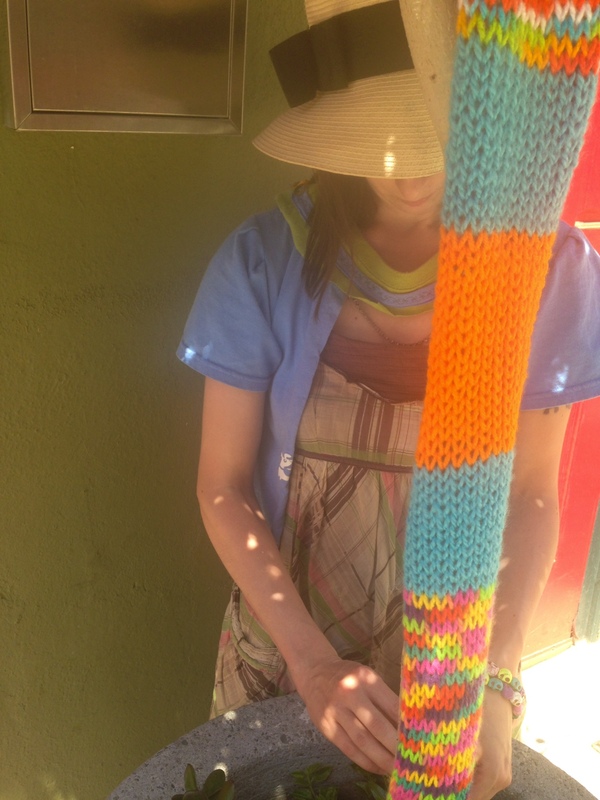 Below are pictures of the preparation for (read my previous post for location) Yarn Bombing Los Angeles at Perform Chinatown. Visit there the yarn bombs are still up! 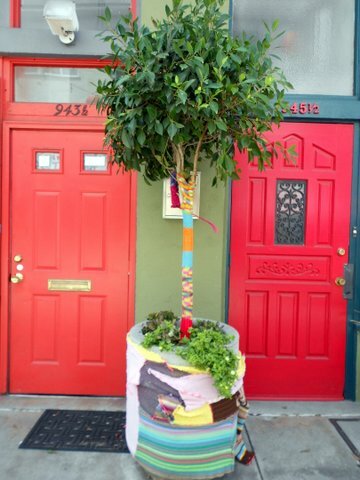 Yarn Bombing Los Angeles takes over Chinatown! 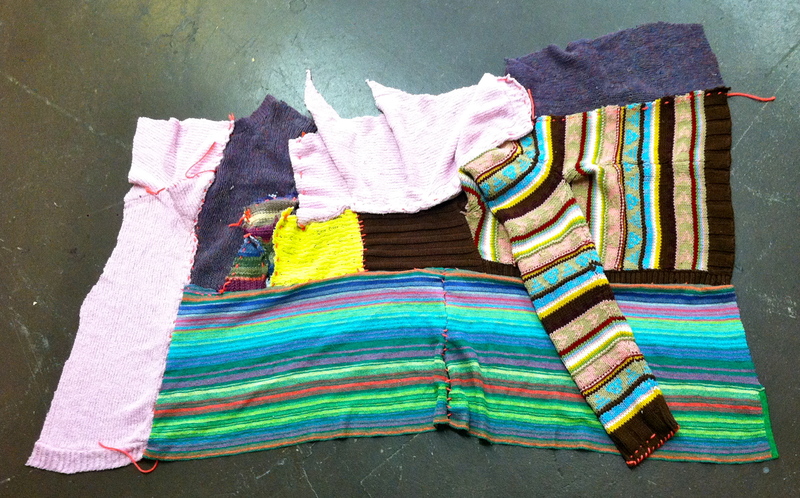 I have a wearable sculptural piece in Chinatown and it is for sale! 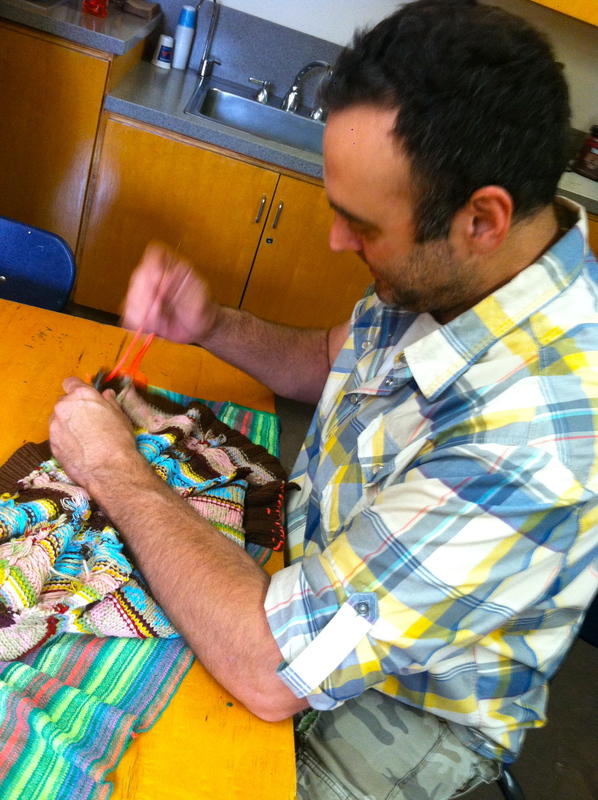 I will be yarn bombing as part of Perform Chinatown. Come check out all the events.